You might perceive smart watches to be more mobile than handhelds, but they’re not. Think about it – most smart phones can be navigated with just one hand; a watch requires both. The makers of Aria are familiar with this dilemma, and they’ve turned to Kickstarter to make their solution a reality. 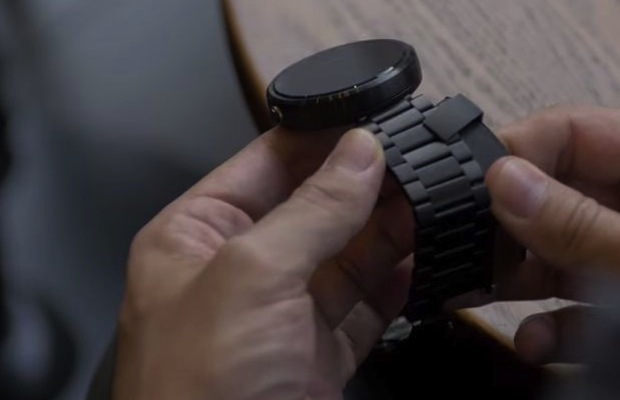 Aria is a smart watch accessory that attaches to your existing watchband. It can translate finger and wrist movements into navigation commands, freeing up your other hand. With Aria, you can perform all your regular smart watch tasks without even lifting a finger.